Welcome to Pit Bull Chat! We are a diverse group of Pit Bull enthusiasts devoted to the preservation of the American Pit Bull Terrier. Our educational and informational discussion forum about the American Pit Bull Terrier and all other bull breeds is a venue for members to discuss topics, share ideas and come together with the common goal to preserve and promote our canine breed of choice. Here you will find discussions on topics concerning health, training, events, rescue, breed specific legislation and history. 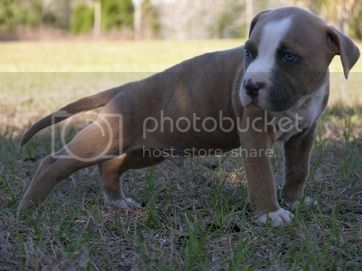 We are the premier forum for America’s dog, The American Pit Bull Terrier. We welcome you and invite you to join our family. You are currently viewing our boards as a guest which gives you limited access to view most discussions and access our other features. By joining our free community, you will have access to post topics, communicate privately with other members (PM), respond to polls, upload content and access many other features. Registration is fast, simple and absolutely free so please, join our community today! Bull Terrier Clinical Studies Fund! My english bull terrier is sick. Please help. Nova is feeling much better! Waking Sudden Onset Aggression: Any New Info?